Ultimately, selling gets a bad name when the person doing the selling is selling for selling’s sake: they are not passionate about the product and they don’t believe what it stands for, they just want to make money. As reflexologists we are passionate about our therapy and believe in its powerful yet gentle and subtle effectiveness. Our beliefs and enthusiasm drive us forward in promoting reflexology to everybody we meet. When you believe wholeheartedly in what you do and why, selling becomes something else, it becomes the promotion of a good thing, it becomes “spreading the word”, it becomes “people helping people”. So, as therapists we are selling our therapies, so why not also sell products too? Especially when the brand sets the bar in its ethical ethos, organic standards and care for the environment. So if you want to be about people helping people, where the product ingredients are natural and organic, where the people in the supply chain are treated fairly, and when you look behind you there is no carbon footprint, then adding NYROrganic to your therapy business is a good choice. 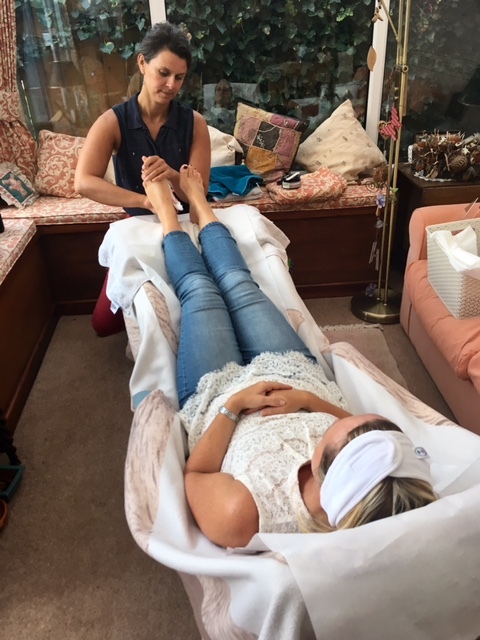 By adding NYROrganic to your reflexology business you will open up more doors to an additional income stream, you will discover new ways of marketing your business, casting your promotional net further and wider, you will meet new people and learn new business skills, and become part of a wider community of like minded people, many of whom are also therapists. I run reflexology parties with NYROrganic. This works well because you are combining/showcasing both sides of your business. Mother’s Balm This is a lovely medium to work with without fragrance so great for new clients who you haven’t gotten to know very well yet, and for clients who might be hypersensitive to strong fragrances. Geranium and Orange Body Balm This is another lovely medium to work with, and the smell is quite strong but beautiful. Definitely a great conversation starter. Arnica salve This is a great medium to work with for client’s feet as it improves circulation, encourages lymphatic drainage, eases tired and aching muscles, and is great for the feet and also YOUR hands! See more about Arnica here. Organic Defence Hand Spray I use this to sanitize my hands before starting. It smells lovely and can generate conversations. It is also much nicer for my hands than the yukky stuff you can buy on the shelves of the supermarket. Facial Wipes I use the cotton facial wipes to cleanse the foot. Like all NYROrganic products, these are certified by the Soil Association. The cotton is biodegradable so is kinder to this beautiful planet. You can also use one of the two spray deodorants as a foot spritzer. If you would like to know more about this wonderful opportunity please get in touch with me on 07799144606 or JMReflex1@gmail.com, or take a look at the information here. 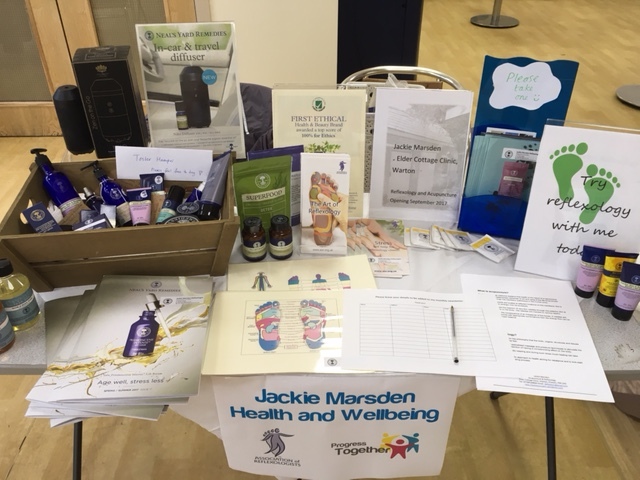 Jackie Marsden MAR is a qualified reflexologist and independent consultant (Group Leader) for Neal’s Yard Remedies Organic. Jackie leads and mentors a growing team of consultants (many of whom are therapists integrating organic products into their existing businesses) via the NYRO social selling channel, holding regular team meetings, one-to-one coaching via phone and facetime, and a closed facebook group. All views are my own.